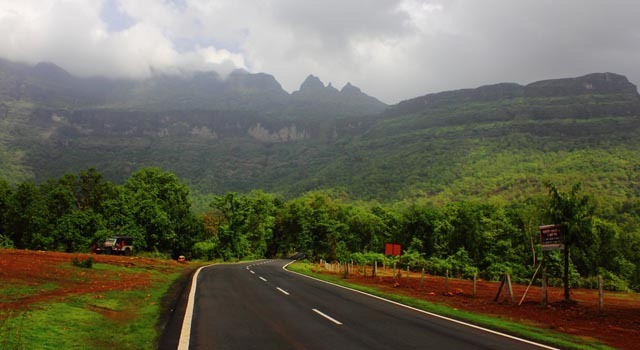 Malshej ghat, with average height of 700 meters. It is a mountain pass descending to the Konkan from the Desh is situated in Pune district near the borders of Thane and Ahmednagar districts. 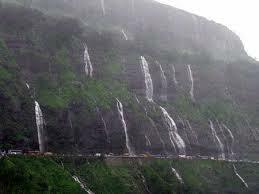 It is at a distance of 119 km north of Pune and 130 km from Mumbai towards northeast and 85 kms from Kalyan. It certainly cannot get more picturesque than this! This is the usually the kind of comment you would hear from tourists who flock to the Malshej Ghat once the monsoon has taken a firm grip over Maharashtra. The verdant landscape shouldered by the majestic ranges of the Sahyadris makes the entire setting a feast for the eyes. And never mind if you get soaked through and through. That’s the whole fun! 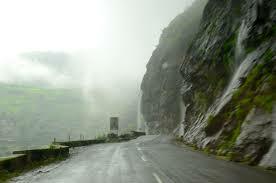 Malshej Ghat is often referred to as a rain traveller’s abode. 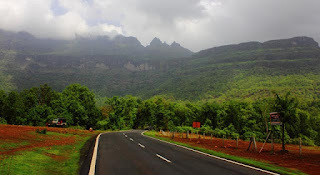 In fact, many an intrepid traveller has always made it a point to have Malshej Ghat on the annual itinerary simply because the place offers a view that has no parallel. Here, the Sahyadri mountain range towers above everything else, dominating and influencing the environment, nature, history, economics and ecology of the state. The region is a trekker’s paradise with its extremely rugged and rocky hills on which you will come across forts, temples and ancient rock-cut caves. Nearest airport is Pune Airport at Pune. Nearest railhead is at Kalyan. Drive to Malshej Ghat via Bhiwandi, Kalyan, Vaishakhare. Drive from Pune via Manchar. Narayangaon, Alephata on the Pune- Nashik road. Trying to solve the ineffective rates and low service standards in Car rentals through tranzports.com.